Washington (CNN) - If you think cutting the government's budget is as easy as taking the ax to some unpopular federal programs, a new national poll suggests that you should think again. According to a CNN/Opinion Research Corporation survey released Friday, most Americans think that the government spends a lot more money than it actually does on such unpopular programs as foreign aid and public broadcasting. The poll's release comes one week before current funding for the government runs out. If there is no budget agreement between congressional lawmakers by next Friday, some government programs and offices may shut down. "The public has a better idea of how much the government spends on programs like Social Security and Medicare, but there is a related problem - cutting them has little public support," says CNN Polling Director Keating Holland. "The result: cutting unpopular programs would probably not cut the deficit very much, and cutting the deficit would probably require cuts in programs that Americans like." Let's start with international assistance. Sixty percent of people we questioned say they'd like to put foreign aid on the chopping block. So would that make a dent in the deficit? No - but try telling that to the American public. According to the poll, on average, Americans estimate that foreign aid takes up 10 percent of the federal budget, and one in five think it represents about 30 percent of the money the government spends. But the actual figure is closer to one percent, according to data from the Office of Management and Budget from the 2010 fiscal year's $3.5 trillion budget. OK. Let's try more low-hanging fruit - funding for the Corporation for Public Broadcasting. Our survey indicates nearly half of all Americans would like to see major cuts. According to our poll the public estimates that the government spent five percent of its budget last year on public television and radio. Not even close. The real answer is about one-tenth of one percent. Cutting pensions and benefits for government workers is popular, but once again most Americans overestimate how much that costs the government. On average, Americans think the federal government spent 10 percent of its 2010 budget on pensions and retiree benefits; the OMB figures indicate the real number is about 3.5 percent. A sizeable minority would like to see food and housing assistance for the poor on the chopping block, but Americans' estimates of how much the government spends on those programs are three to four times higher than the actual price tag. Cuts in military spending also have some support - more than a third of all Americans favor cuts in that area. But the public, once again, overestimates the amount of military spending. They told us 30 percent in our poll. In reality only 19 percent of the 2010 budget went towards military spending, according to 2010 OMB figures. What Americans got right are the programs they don't want to cut. When we ask Americans to guess how much Social Security cost the government in 2010, the median estimate was 20 percent. Not bad, given that OMB figures indicate that Social Security represented 20.4 percent of the federal budget in 2010. "Budget experts agree that cutting a target that big would be a good start toward getting the deficit under control. Problem is, 87 percent of people we surveyed don't want to decrease the amount of money spent on Social Security - and four in ten would like to see that figure grow. The same is generally true for Medicare and Medicaid, which combined made up 19 percent of last year's budget," adds Holland. We truly are a nation of fools. Shame is that the majority of our so-called "expert citizens", the ones who have no idea that Public Broadcasting takes up so little of our budget, are Republicans who have been sold a bill of goods by their leaders (manipulators). They probably also are the ones who would have tea party style rallies if "their social security or Medicare" were cut. These are the same people who simply boble their heads and feign outrage at everything this "socialist" President does. The lies being constantly spread by the GOBP are the reason why people are confused. When will Americans wake up? Where are the jobs? Looks like jobs jobs jobs turned into killing jobs of teachers,firemen and police . This is ONE POLL that says – YOU should NOT take POLLS!!! The American people SAY what the POLLS suggest they should say and the media knows how to word it in order to sway the results..............period!!! you left out another 28 % ??? 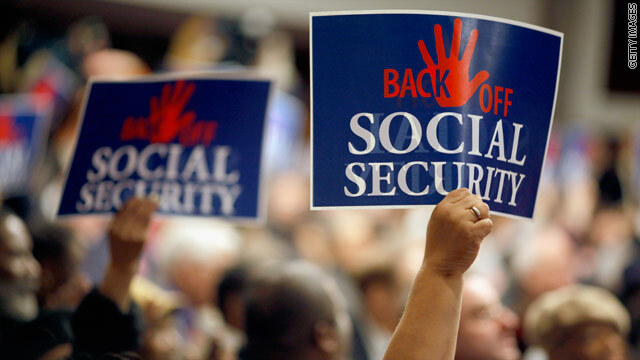 Don't we the people fund Social Security along our employers? Where does the 20% figure come from? Are we taking in 20% less than we are paying out? Several reports say that the fund will be solvent until 2016.. Where's the discrepancy? Or is the 20% administrative costs? Zowie, that worse than health care overhead. Or is it the money that congress borrowed from our SS trust fund and now has to pay back? Ah, Greed Over People, you are so screwed. If you don't cut, your own people will disown you. If you do cut, everyone else will disown you. Still think your chances are good in 2012? Not as easy to govern as you thought, is it? You should have worked with the Ds when you had the chance. Now the electorate don't like either party and neither party can make any meaningful changes to stop our country from crumbling into oblivion. end corporate welfare and the no-pays of the rich. end loopholes. collect more revenue. than lets talk balanced budget. GE has paid no federal income tax in 2 years on profits of 20 billion, has received 5 billion in tax credits. How about talking about the other side of the coin on Social Security: Increase revenue for the program by increasing the salary level for individuals to pay the tax on. Once in my lifetime (66 yrs old) I received my last paycheck for the year without any social security tax being withheld. ONCE!!!!! I think we can raise the income level for paying s.s tax. Ok- so military spending is 19% of the budget (not 30% like the public guessed) and social security is 20.4%. But only cutting social security and not military spending makes sense? I understand that the costs of social security will grow as the population ages, but obviously there is waste in military spending, including unnecessary wars and questionable defense contracts. The majority of American media is corporate owned and sponsored. It is clear that the agenda here is to plant the seed for privatization – leaving the American middle class high and dry when the next financial meltdown occurs. Although some things only represent a small amount of the budget it is still real money and we need to start cutting or this nation will end up in financial trouble just like Ireland. Americans have flunked History and now Budget IQ tests. Are they really sure they should cut Education funding? What percentage of spending is to support govt workers? 3.5% for pensions seems like a lot to me, especially considering the very agressive assumptions used in the public pension sector. The only answer is to increase taxes, but there isn't anyone who wants to say it. Cut everything that I don't like or don't want. Just keep my stuff. Isn't that how we got here? Going back to 2008 spending would be a good start. i dont believe we can not lower spending and balance budget. but the real issue is the federal government spent the social security money instead of putting it in what they called a trust fund . they created the biggest ponzi scheme of all time.. since bernie madoff is in prison because of his ponzi csheme all politicians who started and continue it should also be in prison.